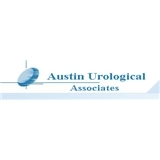 Austin Urological Associates (Austin) - Book Appointment Online! Urology is a specialty that involves both medical and surgical treatments for all conditions involving the urinary tract in both menand women, as well as male reproductive medicine and infertility. We are committed to the highest quality of care and service to our patients, incorporating the latest technology with a thorough knowledge in the treatment of a variety of conditions; such as prostate cancer, kidney stones, incontinence, and male infertility.